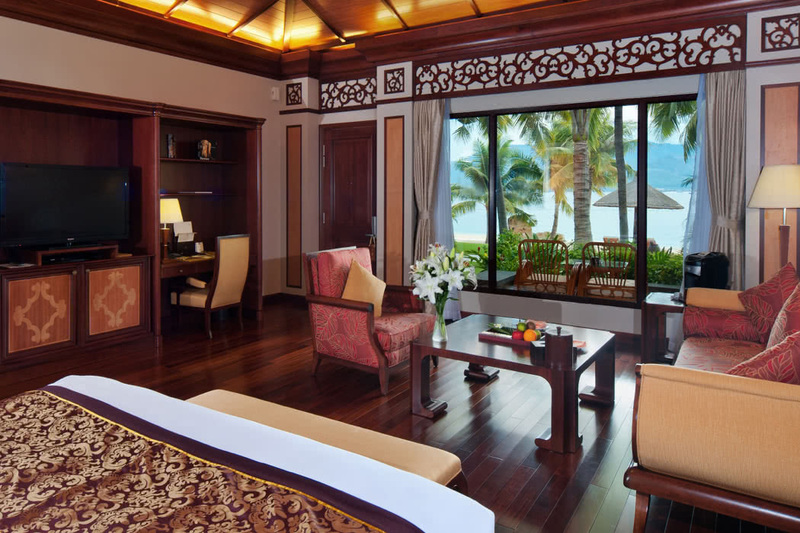 For those times when all you want is a stunning beach, privacy and relaxation, we prescribe a stay at the beautiful tranquil secluded villa resort of Vinpearl Luxury Nha Trang in South Vietnam. 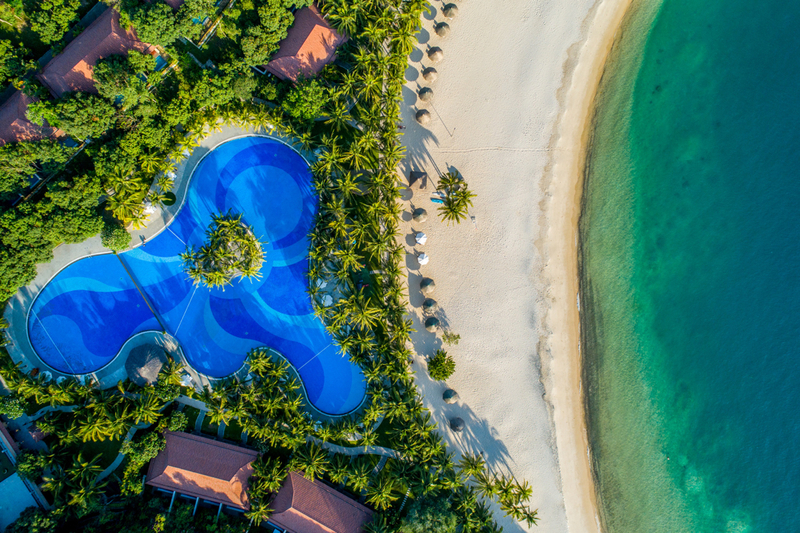 The resort is tucked on one of the most beautiful destinations in Vietnam; Hon Tre Island which is located just off the coast of Nha Trang in the south of the country. 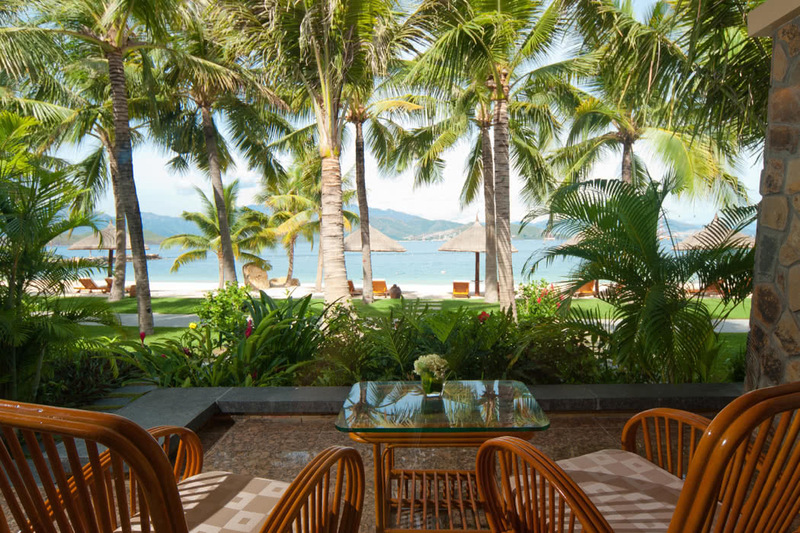 Its exclusive beachfront location on the stunning Nha Trang Beach is much envied; the bay is frequently listed in the world’s most beautiful beach lists. When you want to venture back into the real world (if indeed you do!) there’s lots to explore in the region. The nearby Vinpearl Land theme park makes for a super fun day out; enjoy a Vinpearl Golfing experience; or even hike Hon Tre Mountain. To avoid the very hottest and very wettest times, visit Vietnam in the Spring months from February to April or the Autumn months from August to October. This is when you can take advantage of more moderate temperatures and lighter rainfall. If you’re a diver, visit between April and August to make the most of the clear waters and enjoy the coral-rich dive sites. 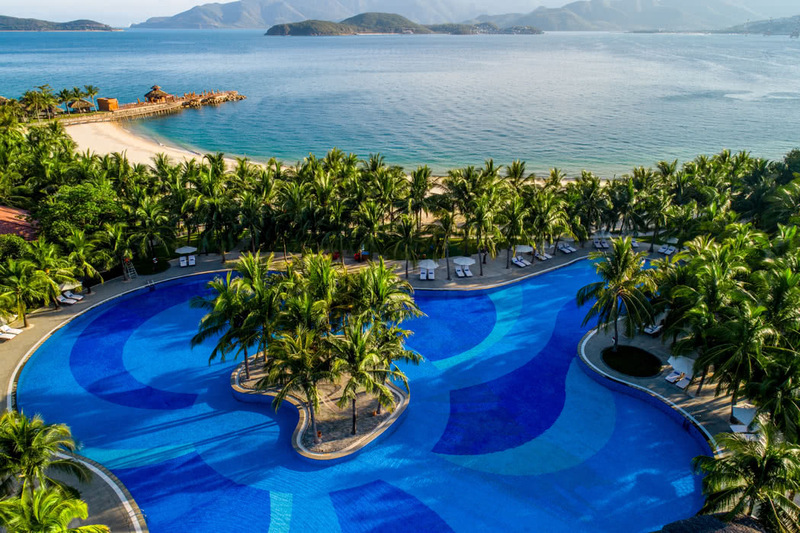 Cam Ranh International Airport is 30km from Nha Trang and you can connect here with Vietnam Airlines, China Southern, Jetstar Pacific or Korean Air. 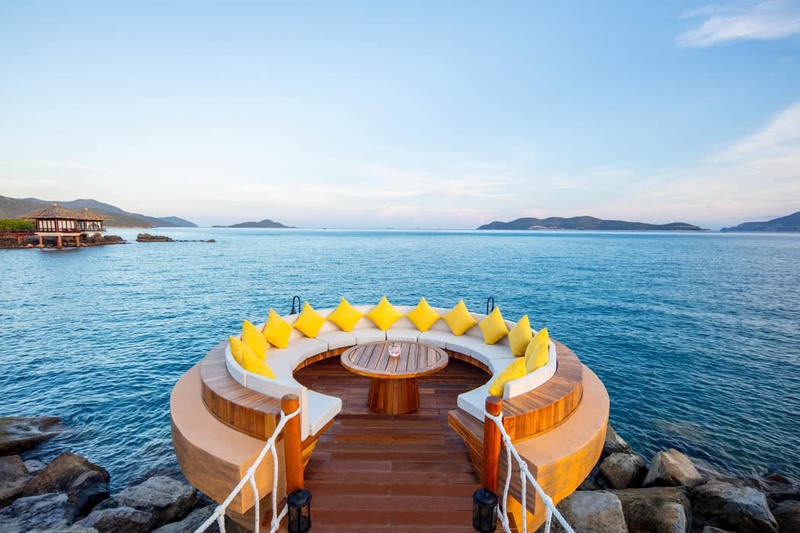 To get to Hon Tre Island, catch one of the regular ferry or speedboat transfers from Cao Da Port in Nha Trang and then paradise awaits. 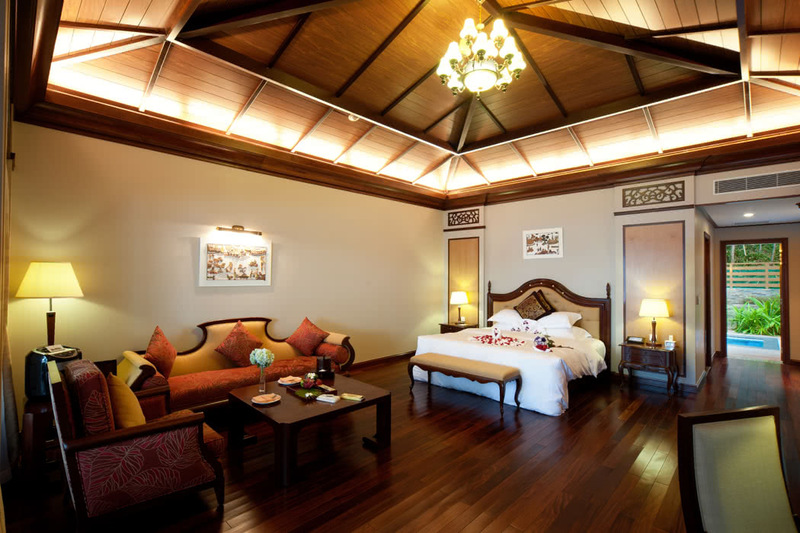 The elegant villas are sophisticated and luxurious with décor that is inherently Vietnamese; think lots of classic wooden furnishings and old-world charm. This is not a character-less resort but one that deeply reflects and respects its surroundings and roots. 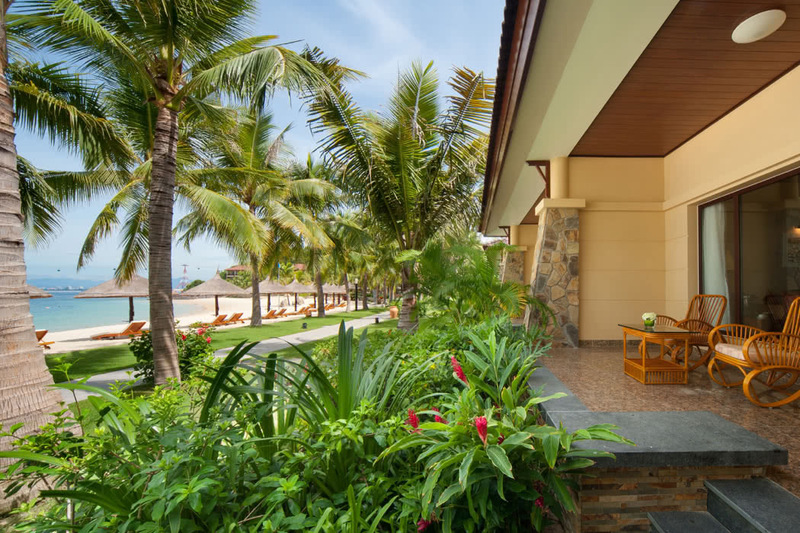 Of course, the stunning ocean views are a vital part of staying here, as are the lush green gardens that envelop the resort and island. 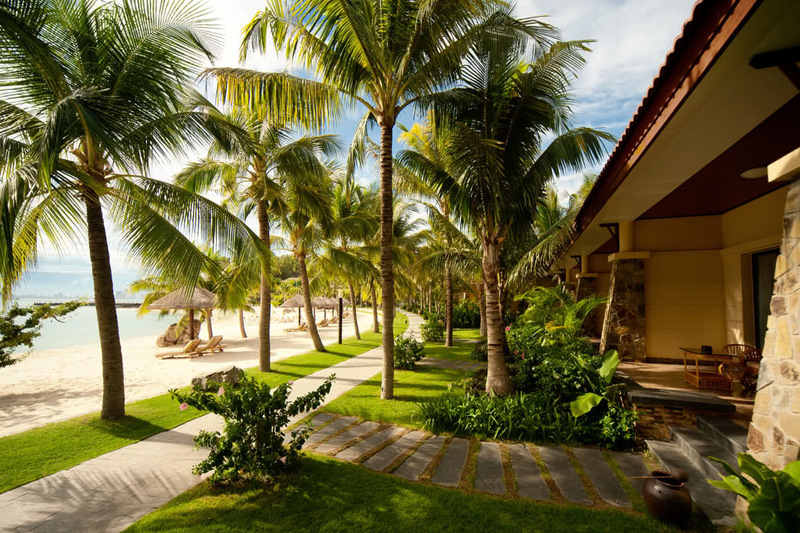 As well as soaking up that private beach area there’s an outdoor pool, a spa pool and a poolside bar to occupy you. 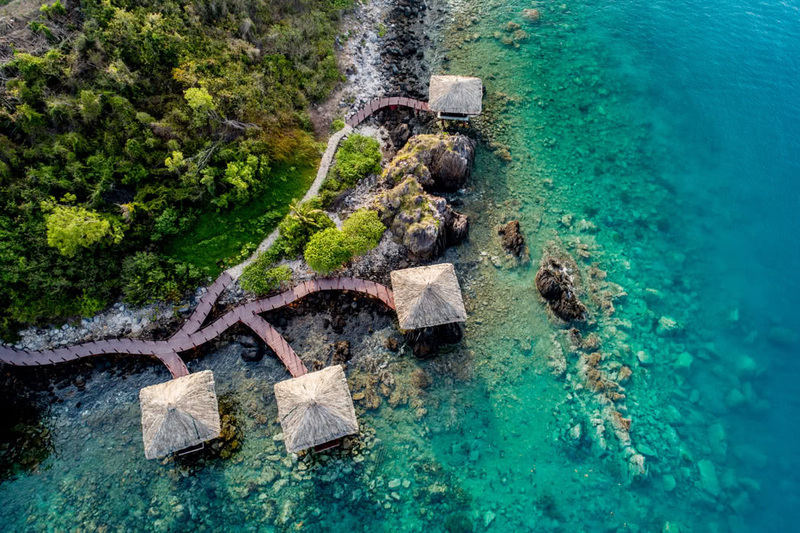 Or if you’re feeling a little more active, there’s a fabulous range of watersports, including kayaking, snorkelling, beach volleyball and football plus water aerobics in the pool or how about a game of tennis back on dry land on the resort courts. After all that activity, you’ll be in need of some indulgence and where better than at the exquisite Akoya Spa. 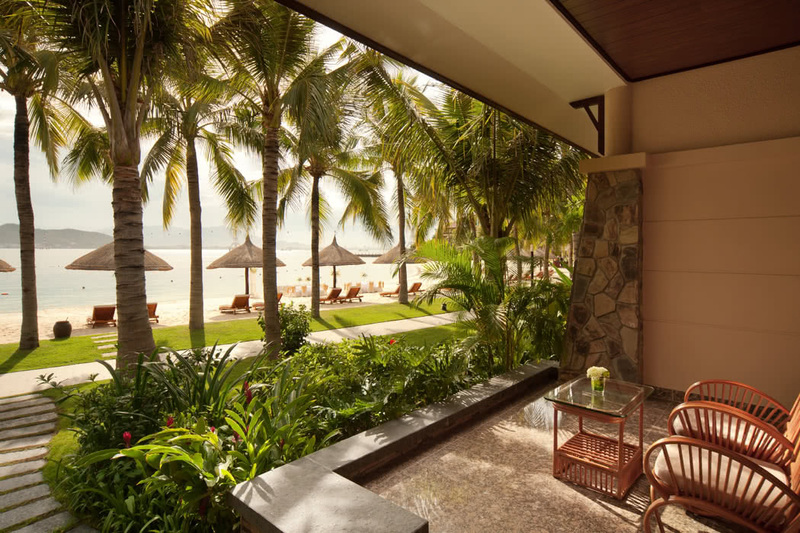 The spa is operated by world renowned Mandara Spa and offers a tempting selection of local and International treatments. 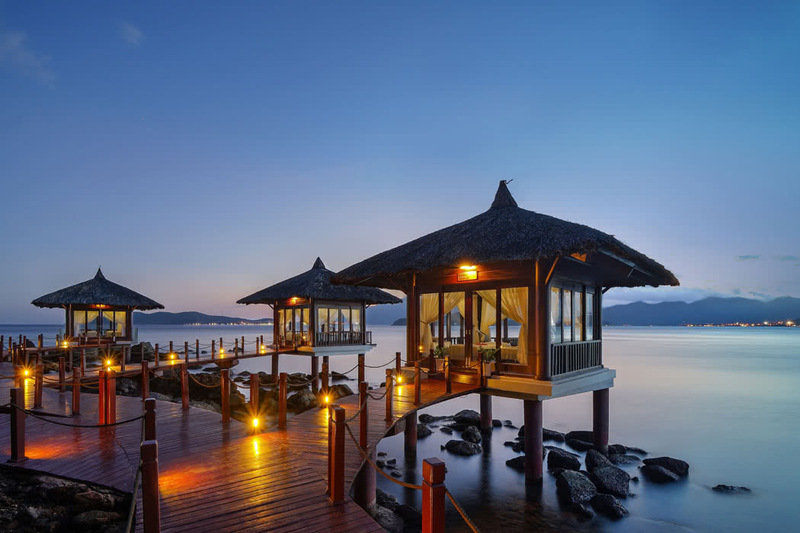 There’s also 5 overwater spa salas, a beauty salon, separate steams, a sauna and a Jacuzzi. The staff are caring, helpful and attentive; it’s the kind of service that makes you want to keep coming back. 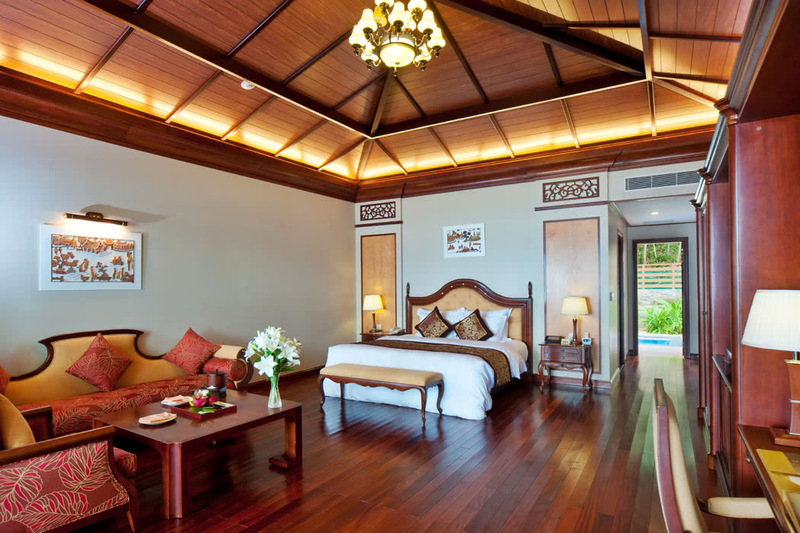 Stay in one of 84 gorgeous villas. Choose from Garden View Villas, Pool-Side Villas, Beach Front Villas, Duplex Villas, Grand Duplex Villas or the Presidential Villa; it goes without saying, but all are seriously gorgeous and you can’t go wrong with any of these! But a choice has to be made and if budget won’t quite stretch to the Grand Duplex Villas; which we love for their vast space, private pool, private garden and epic views then personally I would opt for the Beach Front Villas. You’re here to enjoy the beachfront living and this is the way to do it. Stroll out into the gentle sea breeze of a morning and wander past your private pool across your flower-covered porch onto the soft white sands; this is what barefoot living was named for. 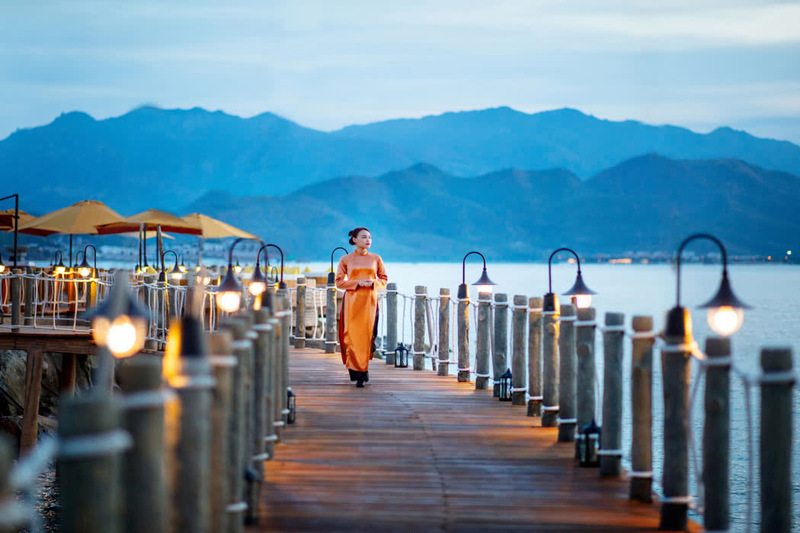 There are two main resort restaurants; the Huong Viet Restaurant serves truly special Vietnamese dishes with a tempting a la carte and set menu throughout the day or head to the Blue Lagoon Restaurant for a delectable fine dining buffet of local and international cuisine. For lighter bites and to enjoy a drink or two there’s a choice of bars as well. The Lobby Bar & Lounge is stunningly glam, has divine sea views and a relaxed luxury ambiance; at sunset you’ve simply got to be at the Wave Bar with a cocktail in hand on the gorgeous seaside decking and during the day the Beach Bar will keep you hydrated and wonderfully sated. We love this hotel because it’s a paradise location with soul and personality and exclusivity. 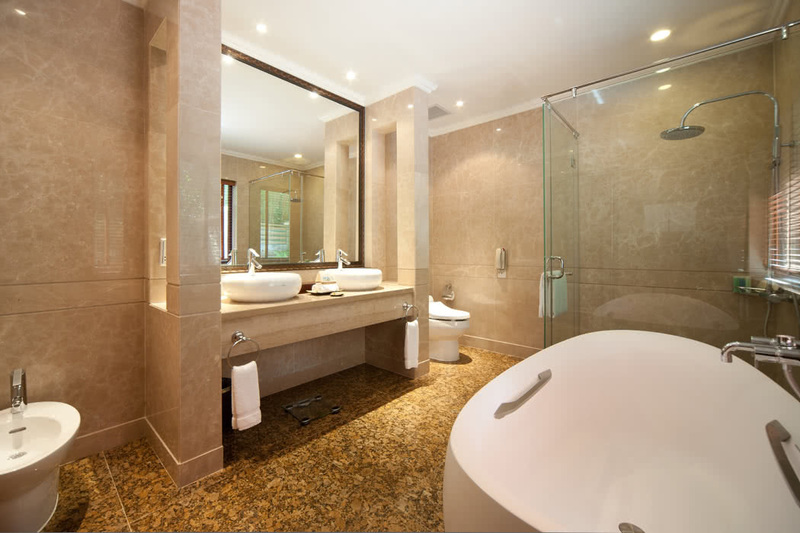 If you would like to book a stay at this luxury hotel, or a business class flight, contact our luxury travel concierge to get a quote before booking. We offer free upgrades, free breakfasts, deals and special benefits.